The Millennium annotations are published and you can find them using the link panel on the right or by clicking here. Hope you enjoy them . . . more than the original series . . .
Posted on Tuesday, July 17, 2018 Monday, July 16, 2018 by GaryPosted in AnnotationsTagged Millennium. 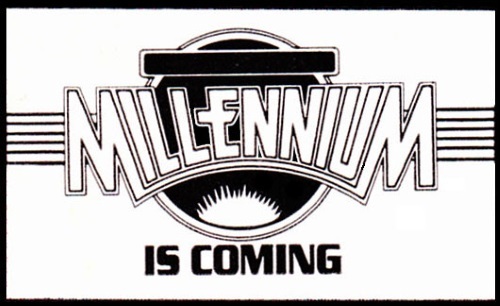 Just a quick update to explain why I’ve not been around much – still working on the annotations for Millennium and its crossovers; just finished issue #6 of the main series and am about to start the crossovers for that week. Hope to have it finished and published in a couple of weeks. Posted on Sunday, July 1, 2018 Saturday, June 30, 2018 by GaryPosted in AnnotationsTagged Millennium. And we’re off – the next series I shall be annotating due to overwhelming no demand, is the much derided 1988 crossover, Millennium. If you thought Bloodlines was bad . . . well, you were right. Let’s see how we get on with Steve “No amount of exposition is too much trouble” Engelhart’s magnum opus, shall we?